Jaundice refers to the yellow discolouration of the sclera and skin that is due to hyperbilirubinaemia (this usually occurs at around bilirubin levels >50 µmol/L). Jaundice results from high levels of bilirubin in the blood. Bilirubin is the normal breakdown product from the catabolism of haem and thus is formed from the destruction of red blood cells. Under normal circumstances, bilirubin undergoes conjugation within the liver, making it water-soluble. It is then excreted via the bile into the GI tract, the majority of which egested in the faeces as urobilinogen. Around 10% is reabsorbed into the bloodstream and excreted through the kidneys. Jaundice occurs when this pathway is disrupted. Fig 2 – Bilirubin is produced as a byproduct of haem metabolism. There are three main types of jaundice: pre-hepatic, hepatocellular, and post-hepatic. In pre-hepatic jaundice, there is excessive red cell breakdown which overwhelms the liver’s ability to conjugate bilirubin. This causes an unconjugated hyperbilirubinaemia. Any bilirubin that manages to become conjugated will be excreted normally, yet it is the unconjugated bilirubin that remains in the blood stream to cause the jaundice. In hepatocellular (or intrahepatic) jaundice, there is dysfunction of the liver itself. The liver loses the ability to conjugate bilirubin, but in cases where it also may become cirrhotic, it compresses the intra-hepatic portions of the biliary tree to cause a degree of obstruction. This leads to both unconjugated and conjugated bilirubin in the blood, termed a ‘mixed’ picture. Post-hepatic jaundice refers to obstruction of biliary drainage. The bilirubin that is not excreted will have been conjugated by the liver, hence the result is a conjugated hyperbilirubinaemia. A good estimation of which type of jaundice is present (prior to any further investigation) can be made from observing the colour of the urine. 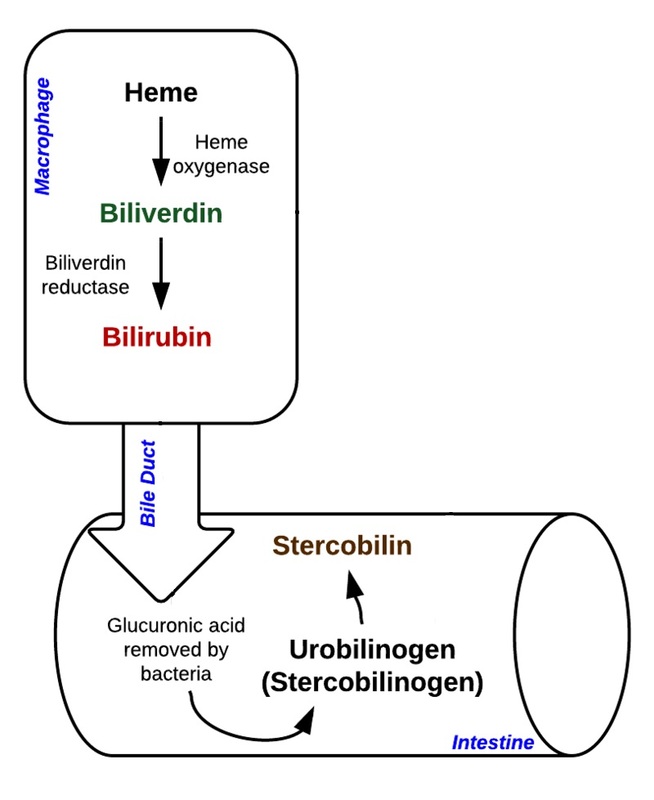 Conjugated bilirubin can be excreted via the urine (as it is water soluble), whereas unconjugated cannot. Consequently, dark (‘coca-cola’) urine manifests in conjugated or mixed hyperbilirubinaemias, whereas normal urine is seen in unconjugated disease. In many cases, the likely underlying cause can be elicited from the history, with the investigations simply confirming suspicions. Hence, whilst a complete list of investigations is given below, these should be tailored to the clinical features of the patient. Table 3 – Acute and Chronic Liver Screens *Both Surface Antigen and Core Antibody; **Autoantibodies include anti-mitochondrial antibody (AMA), anti-smooth-muscle antibody (Anti-SMA), and anti-nuclear antibody (ANA), used to identify a variety of autoimmune liver conditions, such as primary sclerosing cholangitis (PSC). The imaging used will depend on the presumed aetiology. An ultrasound abdomen is usually first line, identifying any obstructive pathology present or gross liver pathology (however this is often user dependent), especially if the jaundice is obstructive in nature. Magnetic Resonance Cholangiopancreatography (MRCP) is used to visual the biliary tree, typically performed if the jaundice is obstructive but US abdomen was inconclusive or limited. A liver biopsy can be performed when the diagnosis has not been made despite the above investigations. The definitive treatment of jaundice will be dependent on the underlying cause. Obstructive causes may require removal of a gallstone through ERCP or open surgery, cholecystectomy, or stenting of the common bile duct. Symptomatic treatment is often needed for the itching caused by hyperbilirubinaemia. An obstructive cause may warrant cholestyramine (acting to increase biliary drainage), whilst other causes may respond to simple anti-histamines. Identify and manage any complications of liver failure where possible. Monitor for coagulopathy, treating promptly (Vitamin K or fresh frozen plasma (FFP)) if any evidence of bleeding or rapid coagulopathy, and treat hypoglycaemia orally if possible (otherwise 5% dextrose is needed). Where patients become confused from decompensating chronic liver disease (‘hepatic encephalopathy’), laxatives (lactulose or senna) +- neomycin or rifaximin may be used, reducing the number of ammonia-producing bacteria in the bowel. 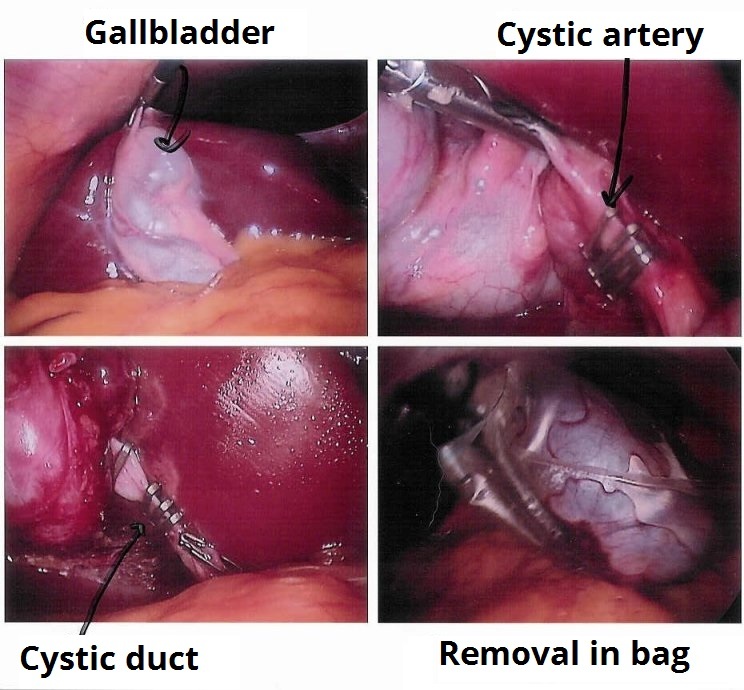 Fig 3 – Images from a laparoscopic cholecystectomy. Which of the following blood tests would you not suspect to see for a patient admitted with post-hepatic jaundice secondary to gallstone disease? A patient is admitted with RUQ pain and blood tests showing a post-hepatic jaundice, the patient otherwise well and stable. What is the most appropriate initial investigation?